[We are OPEN!!!!!] Bandcamp and shop for U.S.
Shop owner is Jimmy Preston! He is our tour manager in U.S! If you live in U.S. and Canada, you'll be able to get our stuffs for good shipping price! And this is our shop for every country people! 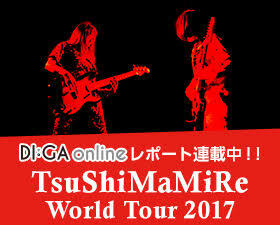 TsuShiMaMiRe send for you guys from Japan! If you live in Japan, please check this shop "IBITSU-YA."